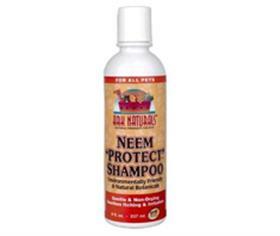 Ark Naturals Neem Protect non-Drying Shampoo is an environmentally friendly formula for cleaning dirt, oil and sebum from your pets including: dogs, cats, horses and other pet coats. The active ingredient is Neem, a tree native to the Indian subcontinent. Neem has been used for thousands of years by the people of India, Southeast Asia and Africa. Contains No sodium laurel sulfate. NOTE: Ark Naturals recommends that Neem Protect Shampoo be used in conjunction with Neem Protect Spray, the two products work together synergistically.